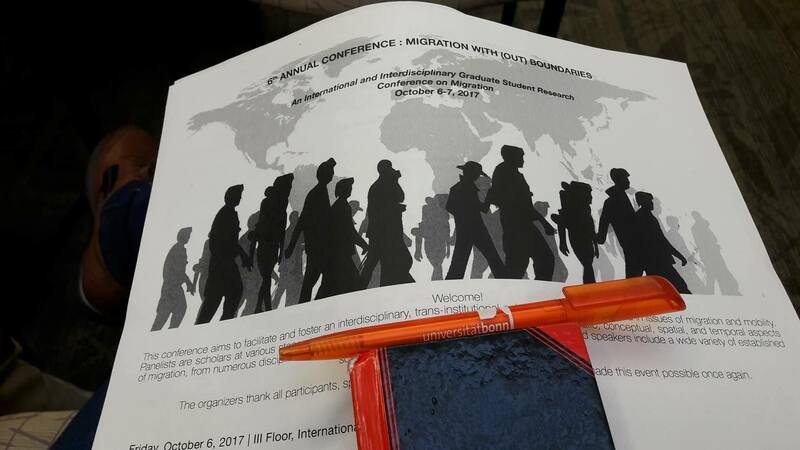 It was early September 2017 when I received a confirmation letter to participate in one of the panel sessions at the 6th Annual Conference about Migration With (out) Boundaries organized by the College of Social Sciences, Department of History at Michigan State University, U.S.A. Three further letters were received for three other ZEF junior researchers, but due to several reasons in the end it was just Mercy Mashingaidze and me who were going to embark on this “ad hoc” adventure. Migration has become a hot topic in recent years particularly after the massive influx of refugees from war-torn countries, most of them in the Global South, into Europe, and mainly into Germany. This, coupled with the rising of populist politicians using fearmongering as a means to call for more restrictiveness and gain political ground, has brought migration to the forefront of public discourse. 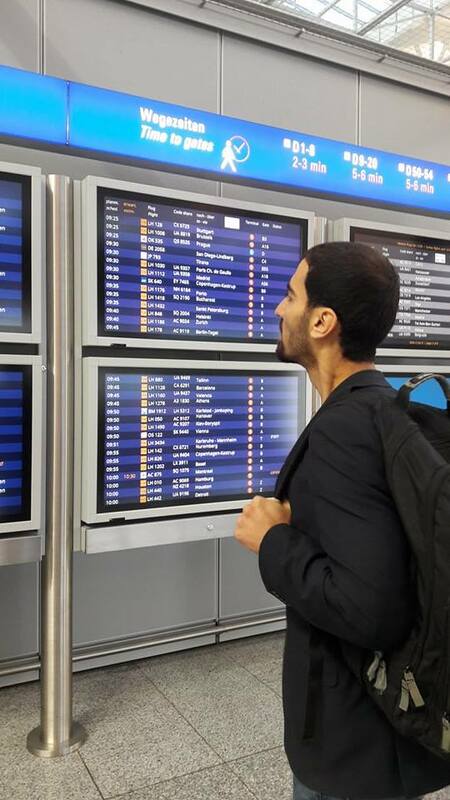 In such a climate, migration is sometimes seen as a menace to the social fabric of industrial countries. In the United States, the election of Donald Trump has accentuated these anti-migration voices and, as a result, proponents have gained momentum. Opponents, however, contend that open door migration policy breeds multiculturalism which in turn enriches societies in the long term and stimulates economic growth and prosperity for the generations to come. The sixth annual conference about migration at Michigan State University brought together 30 panelists from all over the world to share and discuss research covering not only America’s stance on immigration especially from Mexico, but also Europe’s refugee migration predicament and a wide range of other migration topics. On September 5, our plane took off early morning from Frankfurt and bound for Detroit with a two-hour layover in Philadelphia. After a total of more than 10 hours of flying, we landed in Detroit International Airport. A friend of Mercy, a Zimbabwean expat who lives in the US, had the courtesy to give us a ride from the airport to East Lansing. Despite the exhaustion, I enjoyed very much conversing with him while he shared some of his experiences and challenges as an immigrant working in the US. In fact, amid the current unfavorable political climate, I inferred that he is an archetype of a successful immigrant whose story speaks volumes to the assimilability of committed hardworking immigrants in the very America where anti-immigration sentiments are on the rise. All in all, the drive took approximately one hour and half, and for that Mercy and I were very appreciative and indebted to him. Since the conference was planned to start the following day at 6 p.m., I spent the morning and afternoon discovering the beautiful campus and the main facilities in the vicinity of Delia Koo International Academic Center where the conference was going to take place. 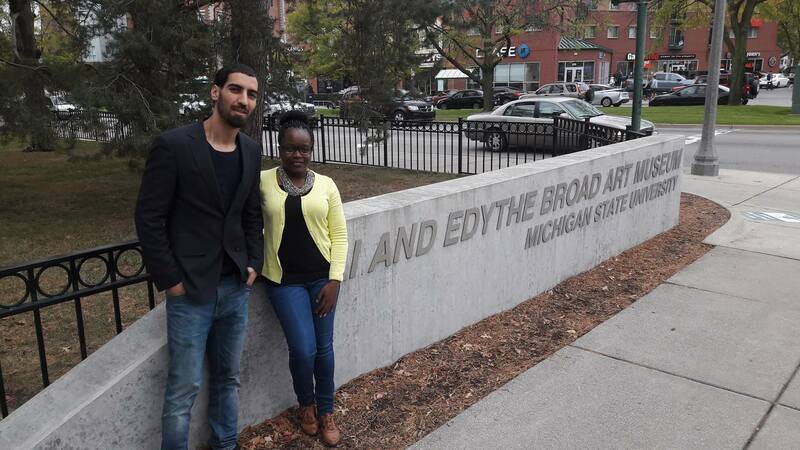 Mercy and I enjoyed viewing the splendidly-harmonious natural and modern sites in the campus. 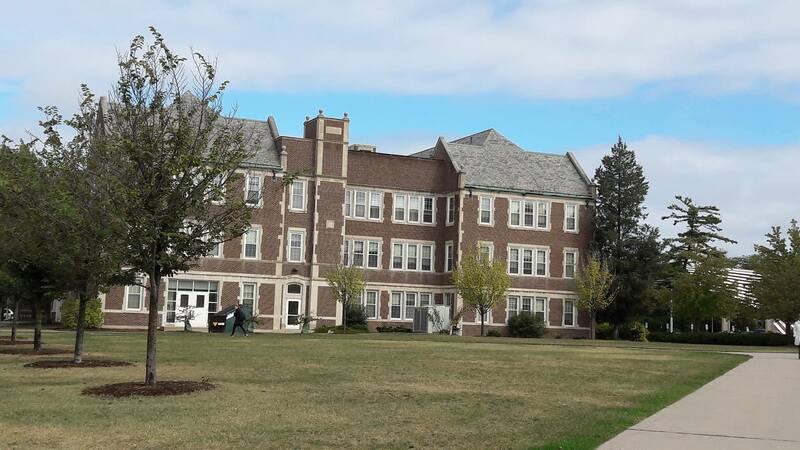 The forestry areas and green spaces were magnificent and stretched across every corner of the campus. The evergreen trees looked old and majestic, while falling leaves of maple trees reminded us of the wonderful gifts of nature. 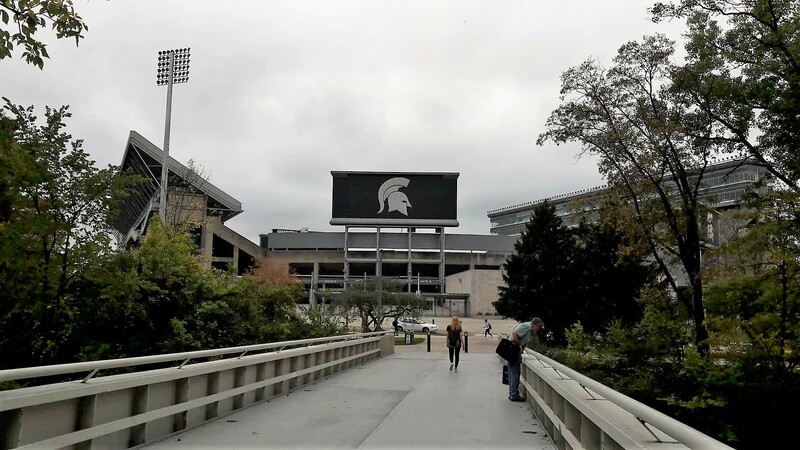 Also, walking along the Grand River Avenue in downtown East Lansing makes virtually all main campus facilities either visible or within reach, including the main library, a contemporary art museum and faculty buildings. Not far from the library lies the massive Spartans Stadium, and coincidently the second day after our arrival its football team was about to play against its traditional state rival from the University of Michigan in Ann Arbor. We heard that the Spartans won, and our analysis of the game and explanation of why they won was based on what we already know about American football, which is next to nothing. We simply thought our arrival brought them good luck. The keynote address: What does history have to tell us? Mercy and I hastily walked towards the venue of the conference to attend the keynote address by Dr. Madeline Hsu from the University of Texas at Austin whose talk was entitled “Hierarchies of Migration Rights: Ideology and Law in the 1917 Barred Zone Act”. 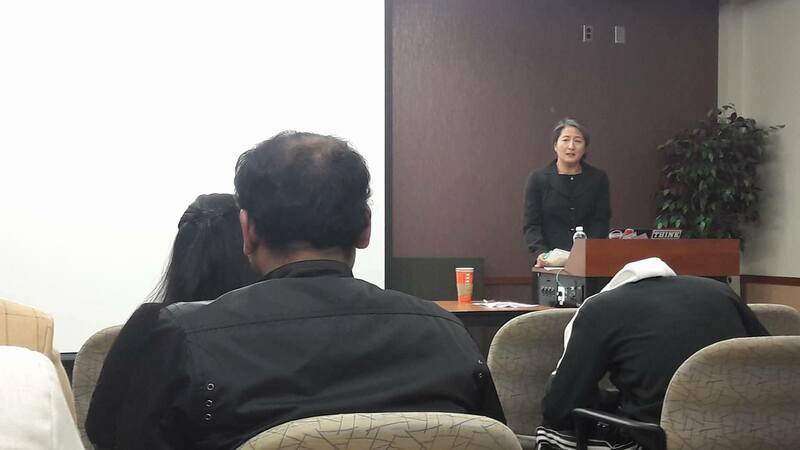 She highlighted some historical milestones in the way the US Congress dealt with the influx of migrants into the United States since the early 19th century, particularly the Barred Zone Act in 1917. Dr. Hsu emphasized that the Congress had always attempted to restrict emigration from Europe and Asia in order to keep “inassimilable inferior stock people” at bay. Bureaucratic structures were implemented to achieve that end including the Immigration Act of 1917 which introduced a literacy test. Most migrants from Asia were not able to pass, hence providing a legal ground to bar Asians from migrating to America. According to Dr. Hsu, such literacy tests were first used in the state of Georgia to bar African Americans from voting, then were adopted later as a means to legally engage in mass racial discrimination against Asians and certain Europeans. These facts shed light on how modern migrant-receiving states have always sought to control not only the volume of migration but also its composition. Regarding the composition of migration, it was fascinating to hear the speaker’s analysis about the changing composition of immigration into the US since the 19th century, and the congressional actions vis-à-vis these waves of migration. With the European migration reaching its peak in 1910, there was a gradual proportional increase of Asian migration since then, followed by immigration from Latin America as of the 1950s. Apart from literacy tests, the speaker mentioned that another important channel through which the Congress had sought restriction was applying immigration quotas based on national origin. Italy was among the countries severely affected by this quota system i.e., Italian immigration had drastically fallen from an estimated 100,000 per year prior to 1929 to less than 6,000 per year afterwards. The talk was well-received by applause and then we were served dinner and had a chance to mingle with other participants mainly discussing each other’s presentations the following day. Coming next are some impressions from the events of the second day of the conference, including our presentations, so stay tuned.